Moscow has been building its military presence in the Arctic, and one Russia scholar says she’s grown increasingly concerned. While Russia’s Arctic ambitions worry regional experts, so do the lack of ambitions on the part of the United States. Heather Conley is Europe program director at the Center for Strategic and International Studies. 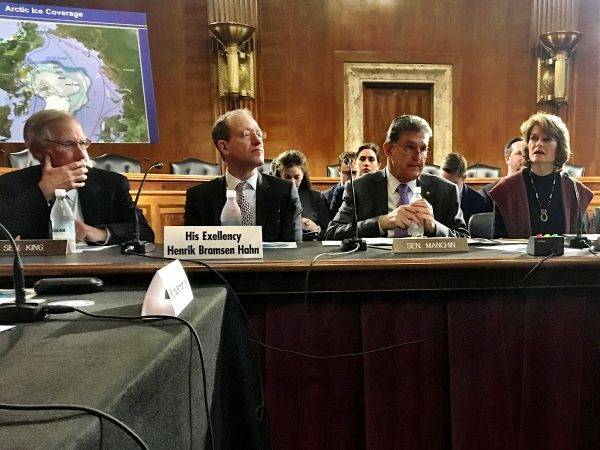 She brought satellite photos to a forum at the U.S. Senate, to show a remote Russian island, three hundred miles from Alaska’s northwest coast.